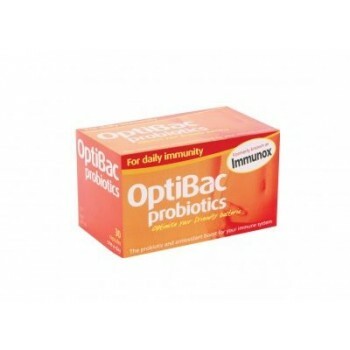 OptiBac Probiotics For daily immunity is a probiotic and antioxidant blend developed for daily intake to support the body’s resistance to infection and promote a healthy immune system. 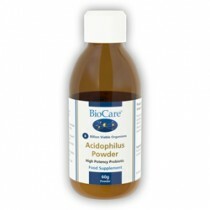 Probiotics: Lactobacillus acidophilus – among the most well researched and documented species of friendly bacteria naturally resident in the human gut. An ability to survive the gastric acids and bile salts expected at mealtimes and to reach the intestines without damage ensures that these health promoting bacteria colonise well in the gut where they support immune cells and create a healthy lactic acid environment that limits survival of harmful bacteria (e.g. Staphylococcus aureus or Bacillus cereus).